If you want the freshest mojito or elderflower cocktail, these hotels will have you sipping for joy. Spring is here! The return of the sunny season means vegetables are ripe for the picking, and herbs and flowers are blooming. 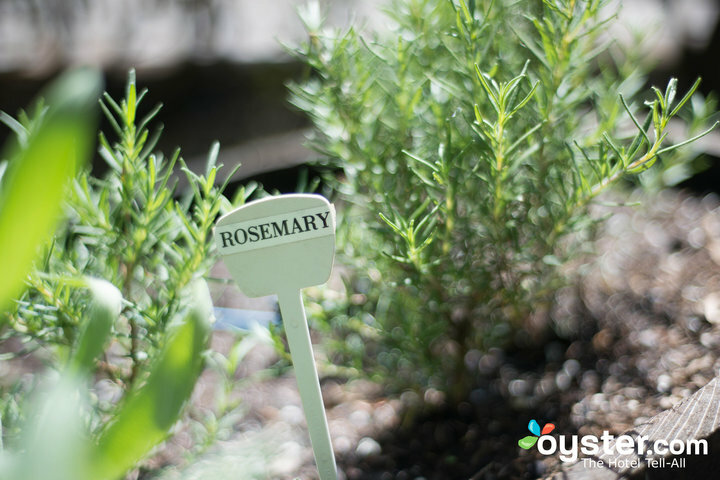 One of the recent trends we've seen across the hotel industry is the use of on-site gardens to produce plants that can then be incorporated into the menus at the properties' restaurants and bars. From lavender cocktails to honey-glazed wings, hotels are crafting seasonal offerings that both taste good and are beneficial to the environment. So if you want the freshest mojito or elderflower cocktail, these hotels will have you sipping for joy. Paresa means "heaven" in Thai, and -- with a doting staff, panoramic views of the Andaman Sea, and private luxury villas -- Paresa really feels like heaven on earth. At night, the infinity-edge pool is lit up with hundreds of twinkling LED lights and the spa has a variety of treatment options. The resort has its own hydroponic garden and uses the ingredients grown there at the on-site restaurant for a true garden-to-table experience. Guests can sip on cocktails made with produce from the garden while sitting on a deck overlooking the stunning ocean. Opening for the season on May 1, Mission Point Resort is an old-fashioned resort on quaint Mackinac Island. 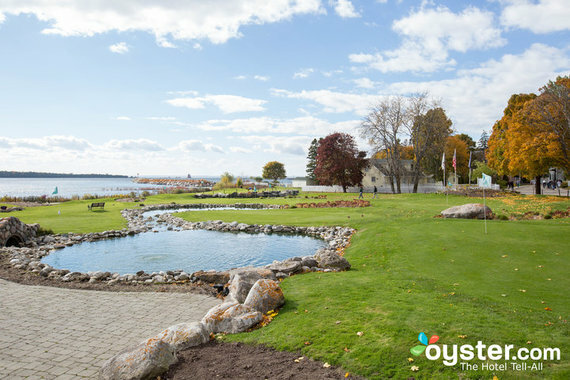 It boasts a variety of rooms and suites (some with hot tubs), an outdoor pool, and an observation tower featuring exhibits on the island's history. This summer, the property is introducing its cocktail garden, which will include lavender, pineapple sage, mints, and rose-scented geraniums, among others. An ever-changing menu of craft cocktails will allow guests to enjoy tasty sips between lounging by the lake and riding in a horse-drawn carriage through town. Like many Fairmont properties, the elegant and historic Fairmont Royal York in Toronto is committed to eco-conscious practices. 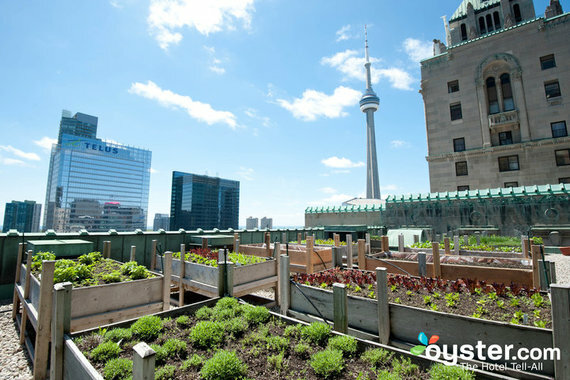 The 14th-floor garden grows vegetables, herbs, and edible flowers that are used in dishes and cocktails at the on-site restaurant and bar. 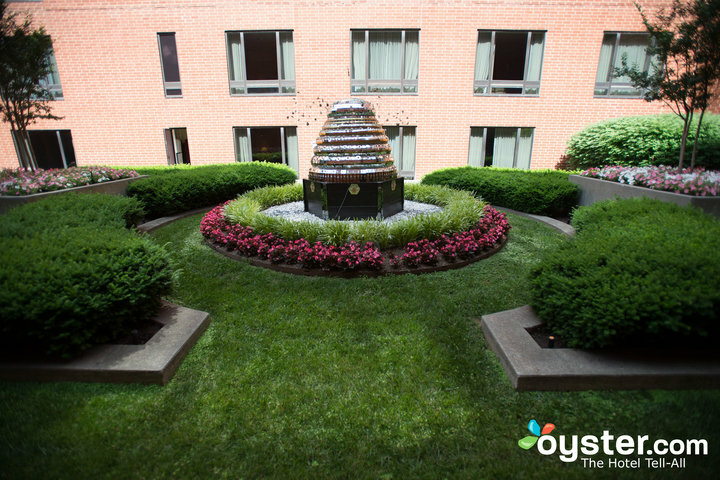 Additionally, the hotel boasts multiple beehives housing more than 350,000 bees! The honey they produce also makes its way into tasty menu items. The 195-room Royal Sonesta draws visitors with its grand common spaces, convenient Inner Harbor location, and impressive rooftop health club, complete with a pool, whirlpool, and sauna. One of the unique features of the hotel is its on-site garden and beautiful beehive sculpture, a nod to the bee apiaries in the courtyard area; the bees help pollinate the 7th-floor herb and vegetable garden and produce a lot of honey. 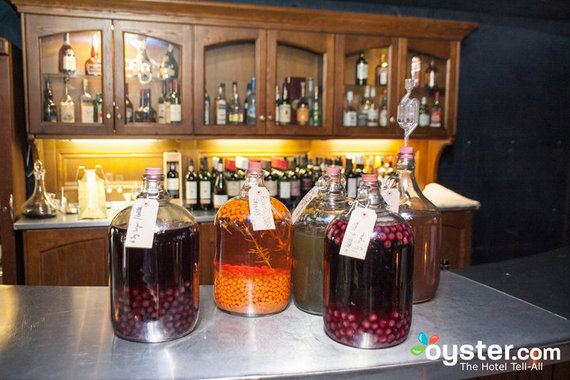 The on-site lounge, Explorers, utilizes the garden's fruitions and honey in the seasonal cocktails and dishes. The 86-room BrookLodge & Wells Spa is a destination hotel in the truest sense, as it's set in a self-contained village resort offering everything guests might want during their stays. There's a real emphasis on green living, and the property offers organic and largely locally-grown produce as part of the dining experience. Some of the menu items utilizing the fruits of the gardens include herbal teas, wild elderflower prosecco, and homemade pastries served with jams and curds. The Polo Beach Club is an eight-story condominium resort located directly on a secluded beach in the Wailea/Makena area. The condo units are spacious, and all come with fully equipped kitchens offering microwaves, refrigerators, and coffeemakers. Instead of having a bartender or chef prepare something using homegrown ingredients, guests can pick herbs from the hotel's garden that they can use for their own meals. Pick some thyme, basil, or sage and create a unique and tasty cocktail (or mocktail) of your own.